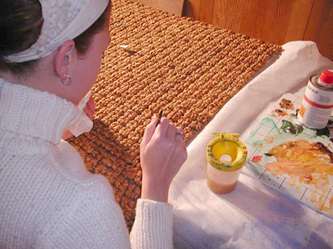 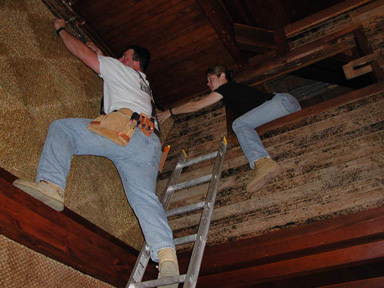 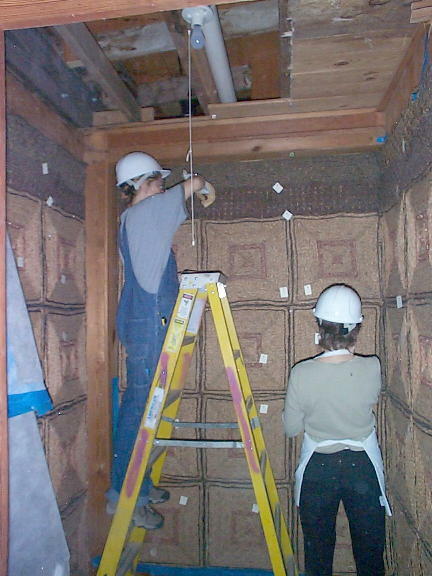 Museum Textile Services was hired to perform analysis, documentation, conservation, and restoration of the grass wall coverings. Years of tourism had taken a toll and the textiles were faded, dirty, water-stained, and had been picked at by souvenir hunters. 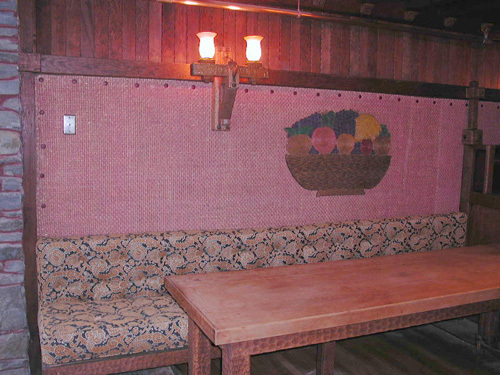 Nearly 4000 square feet of wall coverings were conserved, repaired, repainted, and coated with a UV-absorbant protective coating. 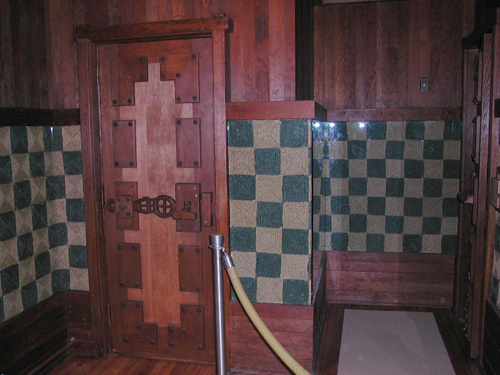 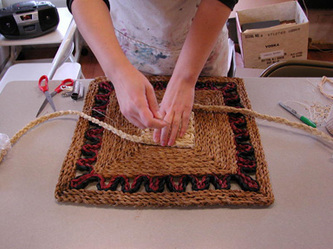 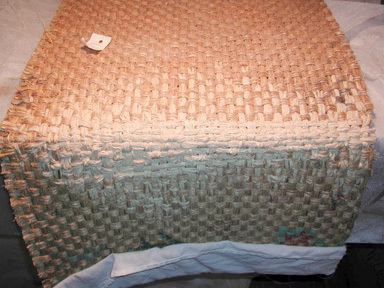 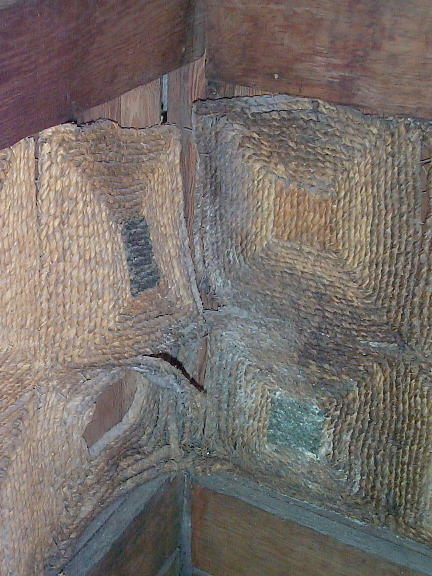 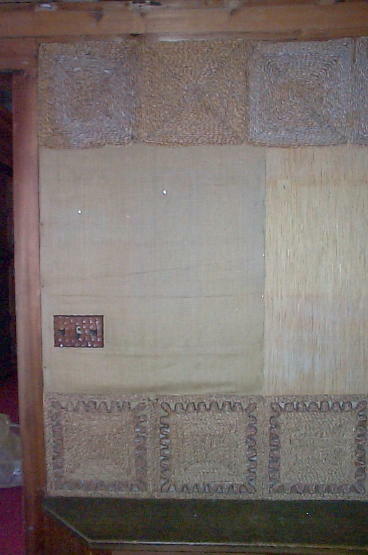 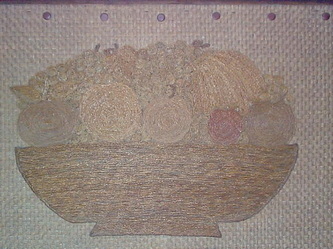 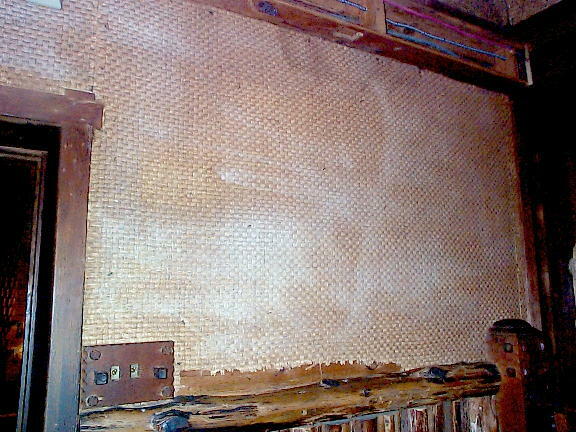 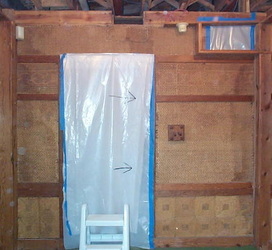 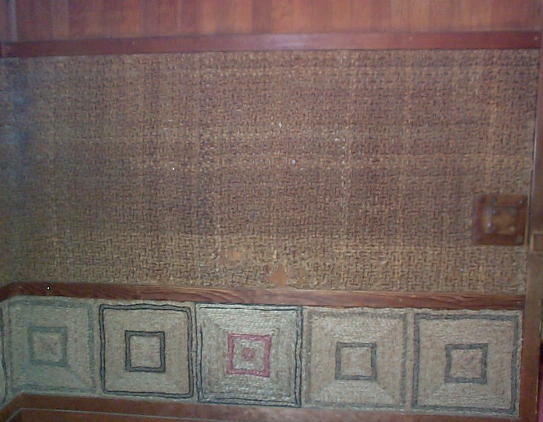 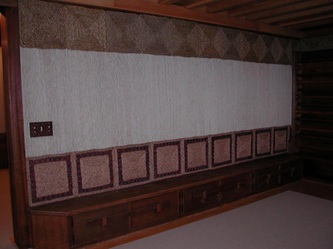 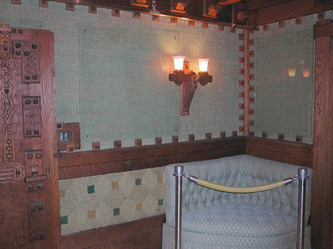 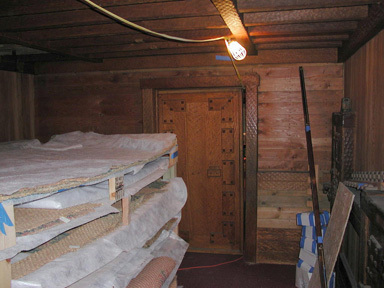 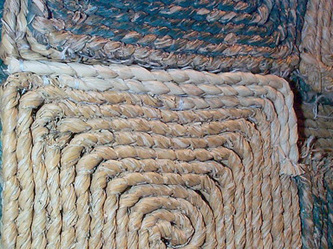 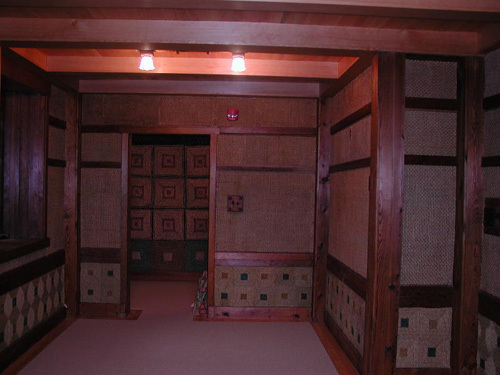 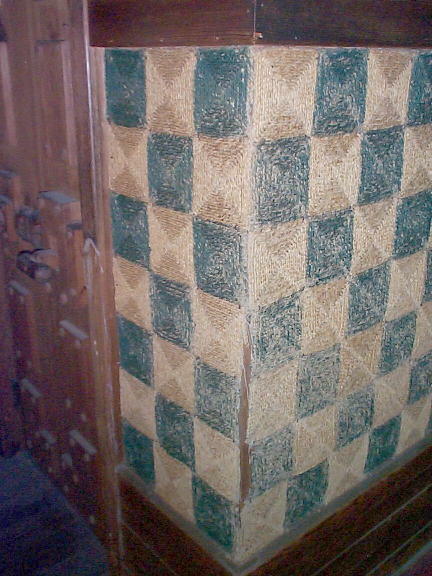 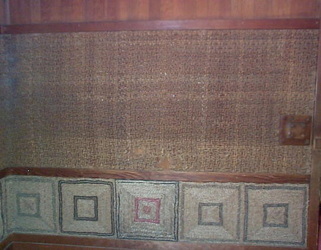 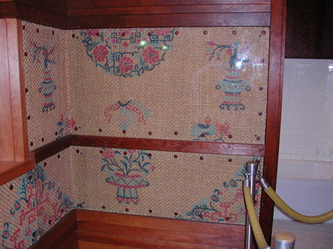 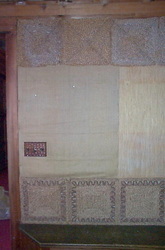 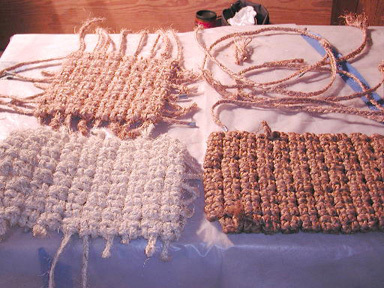 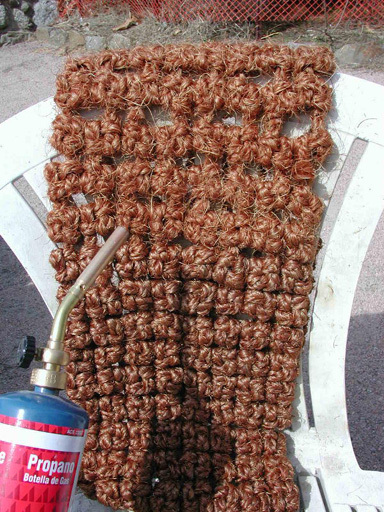 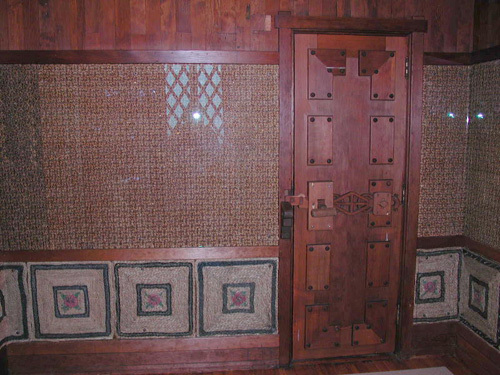 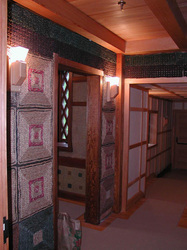 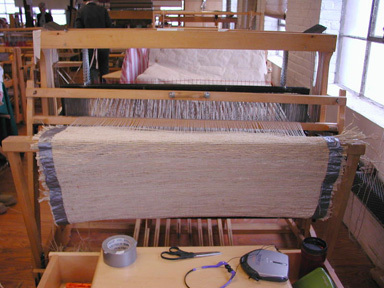 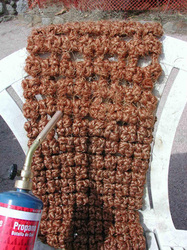 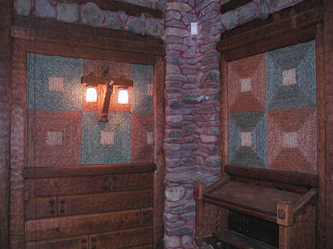 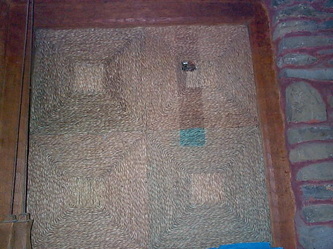 Wall coverings in the Library were replaced with replicas woven from raffia and cotton. Images courtesy of State of Connecticut Department of Environmental Protection. 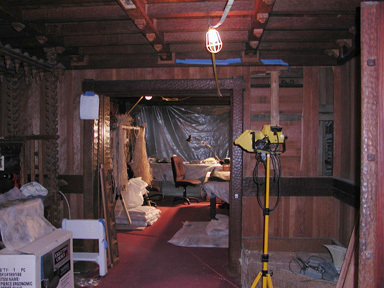 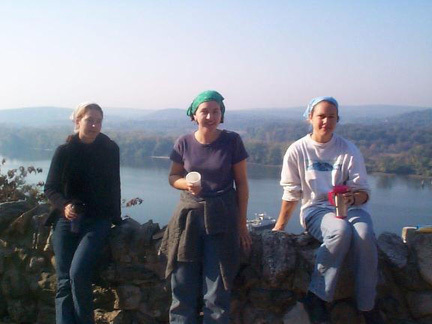 Many thanks to Kronenberger & Sons Restoration and to our amazing on-site team of Melanie Clifton-Harvey, Abby Freeman, and Sophie Hammond-Hagman.